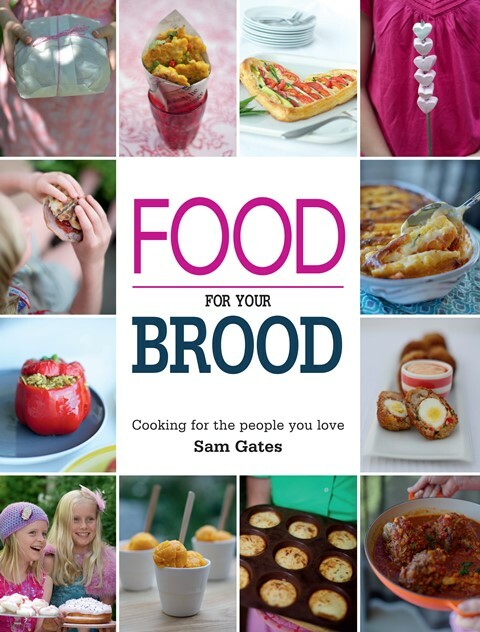 My son has just forwarded a link to your review of my book ‘Food for your brood’ and I wanted to say thank you! It’s the first big review I have seen and it was so exciting to hear that you had taken the time to cook some of the recipes and liked them. The feedback and comments are helpful too, as it’s my first book, so it is great to hear what people think. Thanks again, and good luck with the blog which I really enjoyed. I let Sam know that I had made three of her recipes, and that I would be sharing them on the blog soon. The Spinach And Ricotta Gnocchi were delicious, and this would definitely be something I would make again. They are easy to make, and so versatile that I think you could use any leafy green for these. That is so cool that she contacted you. And I can’t believe I haven’t had gnocchi in quite some time. I may have to give this recipe a try. 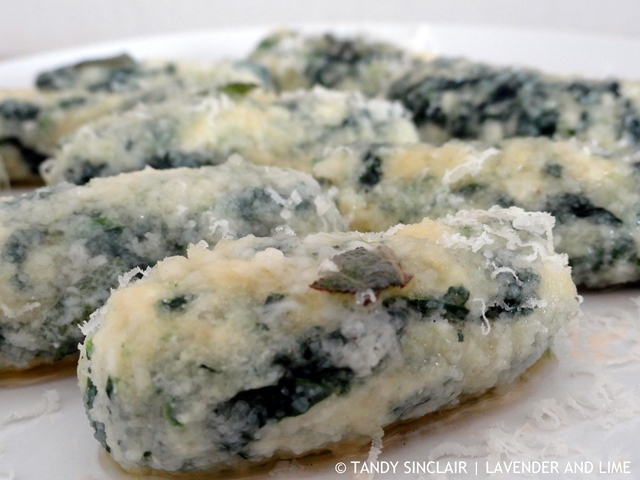 I love gnocchi, spinach and ricotta sounds so good! The gnocchi looks wonderful. I definitely will try it. This gnocchi does look most excellent. What a nice email to receive, would love t get a few of those as well, very sweet. Gnocchi is something I always order in a restaurant and have never attempted at home. I will have to give it a try soon. Thank you for the inspiration! This looks absolutely delicious and easy to make. I will definitely print this out and give it a try. Thanks so much for sharing. 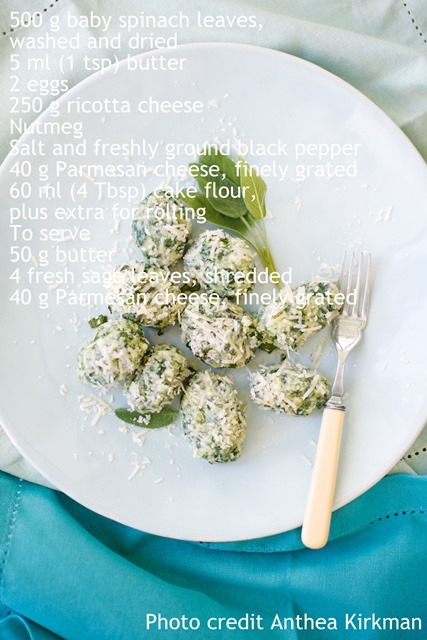 this spinach ricotta gnocchi is totally worth to try!!! Ooh those look good – and what a lovely e-mail from Sam! I’ve been in the mood to make homemade pasta and these gnocchi sound so good! Must be really nice to read a review of your own book, and very sweet of her to thank you for trying the recipe. Spinach gnocchi are very good, never tried them with ricotta. I must give it a go! Uh-oh…Julie alert! For some reason, she’s always fascinated by gnocchi dishes. Yours is just looking amazing! I love cheese!! That is so nice! Often people forget to say thanks and it can be a bit disappointing. Not that you expect it but it’s such a nice gesture and doesn’t require much. What love filled appreciation from Sam and the gnocchi looks heavenly.